Whenever we think about magazines, odds are the very first thing that we think of would be that the magazine is about trends such as fashion and art. Although magazines are mostly interpreted that way for a reason, magazine themes can also be used to display more technical topics as well as sports, gardening, and even food or healthy living. The fact about magazines still being one of the most effective means of sharing information still holds true; however, magazines are no longer limited to just the physical copy of a magazine, because it is now possible to easily generate or create a website dedicated to discussing things relevant to the magazine of which the site is being made for. A basic yet elegant design to both the user interface as well as the background of the site. An integrated social media sharing option that would allow site viewers to share the site on their social media, which will increase the amount of network traffic into your site. 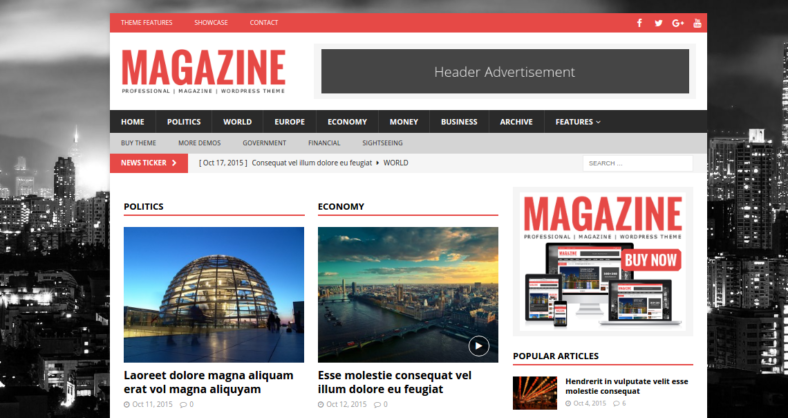 Magazine was designed with the idea of speed optimization, meaning this theme template is capable of loading up from a browser rather quickly with little issues. 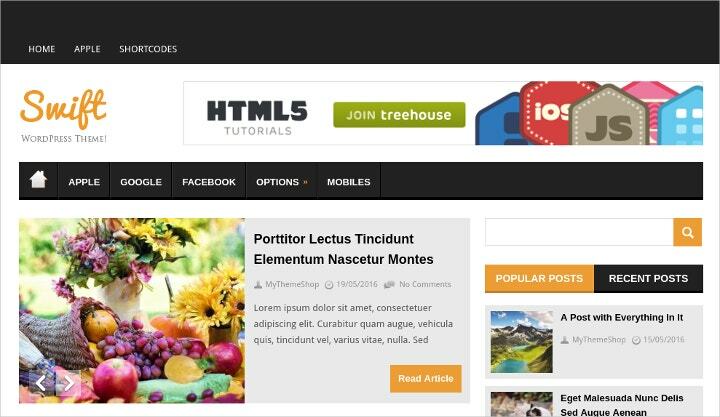 This theme is made to be completely responsive to any device, meaning the site that will be made with this theme template will be accessible from any and all devices from personal computers to tablets. This theme also implements a feature called Breadcrumbs where the purpose of this feature would be to allow users and search engine crawlers navigate through your site much more easily. Food is always an interesting topic to discuss when it comes to creating a blog. This is mainly because of every person’s hidden desire to taste and try every delicacy available so as to determine which cuisine tastes the best and how to make each of the cuisine being discussed. CookBook is a responsive magazine theme that is focused upon the topic of food. It is an ideal theme for the creation of a food blog that would be discussing any variety of topics relating to food such as food news, cooking recipes, restaurant cuisines and dishes reviews, and many more potential topics. Most new bloggers would think the process of creating a blog of any form, say, a food blog, is a hassle and quite challenging; however, with the completion of the purchase for this magazine theme, you will be able to create a high-quality website with little to no hassle at all thanks to the way this theme template was placed together. If you are wondering what this theme is comprised of that makes it so hassle-free, then let us identify the features that are included along with the theme. Basic user-friendly interfaces that guarantee easy navigation and understanding of the site. Professional support for any and all issues you may have with the creation of your website. Creating your theme from scratch or selecting one of many available ready-made demos. Page builder features that allow you to design the layout of your page in any way you want to design your website. Video tutorials will be included into your theme so as to help you further understand the necessary steps to creating a website. 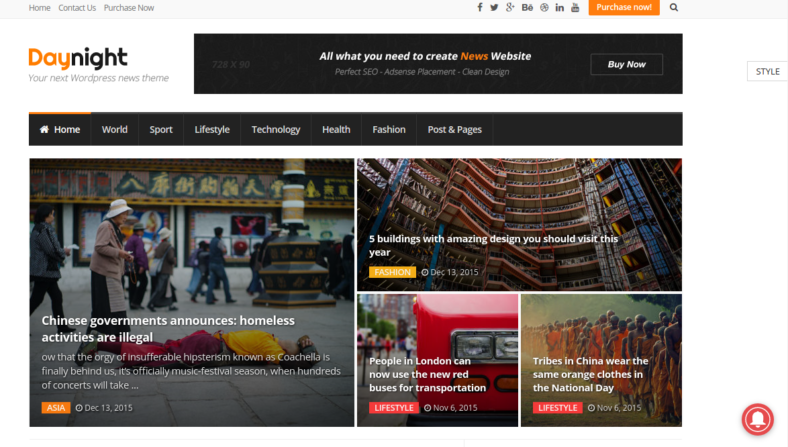 MH Magazine is said to be considered as the perfect WordPress theme for the creation and maintenance of magazine themed websites, be it for classic news websites, professional blogs, or any other news-related topics. This theme is considered to be SEO or search engine optimized, meaning that this theme template is made in a way that would allow the site you will make with this theme template to naturally gain more visibility for your website in every search engine site around. 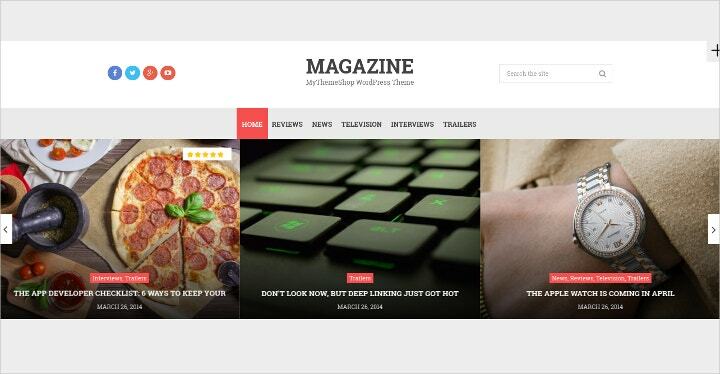 This magazine blog theme template also consists of several features such as widget creation and customization that will allow you to add in special custom-made functions to your site so as to create a more user-friendly interface. You are also capable of selecting whatever color scheme you choose to have for your site thanks to the unlimited color selection you could use for the background of your website. MH Magazine also simplifies the process of searching for adequate plugins and add-ons to your site by simply having this theme template be completely customizable in any way the site manager would want making the need for adding plugins and add-ons unnecessary. 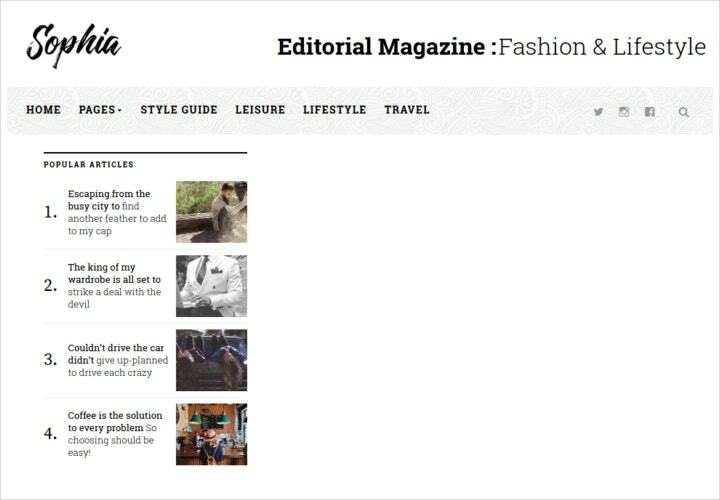 This theme is truly perfect when it comes to the creation of a site that will be dedicated to creating a magazine like an interface with an infinite choice of the topic—be it about fashion, sports, news, food blog themes, lifestyle, technology, politics, or anything at all—thanks to its fully customizable features. The developers of Brillook studied and identified the most frustrating and time-consuming task to accomplish when creating a website and determined to create a magazine website theme template that will allow users to easily create a beautifully designed website theme. This is achieved thanks to the drag-and-drop page builder function being implemented to the creation of this theme template. The drag-and-drop page builder function is, as the name would suggest, a feature that will allow the person to easily modify or change the theme by simply dragging a file directly onto the theme template regardless if the file is a program, an image, a video, or even an audio file. This feature will allow even a novice site manager to easily create a high-quality site. Aside from the drag-and-drop page builder feature that the Brillook theme template has, it also has several pre-designed layouts for the site manager to use in the case that they do not wish to make a custom-made Web page layout. However, due to the diversity of different layouts available, there is a high chance that there is a pre-designed layout that will suit almost everyone’s taste or preference. The developers of Brillook cares about the people who are using this theme template to create their own website, which is why they allow for a 24-7 customer technical support for their clients to help them with any and all issues that they may have in using the theme template. 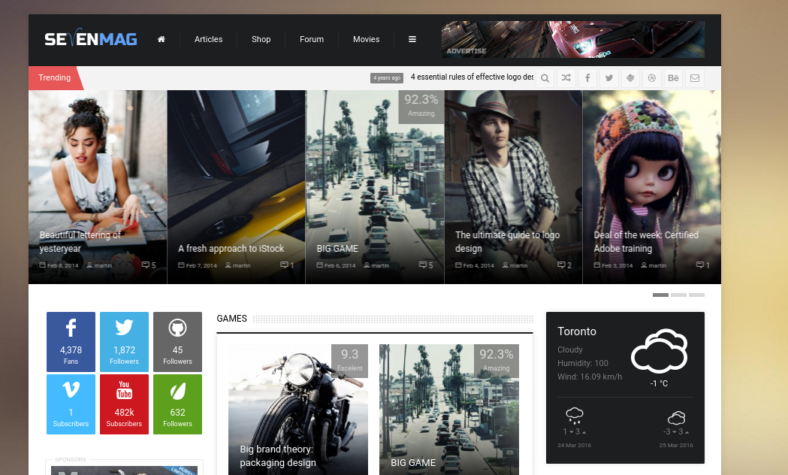 Viva is a theme template made by MOTOCMS that features a fully functional store feature to each of its theme templates. 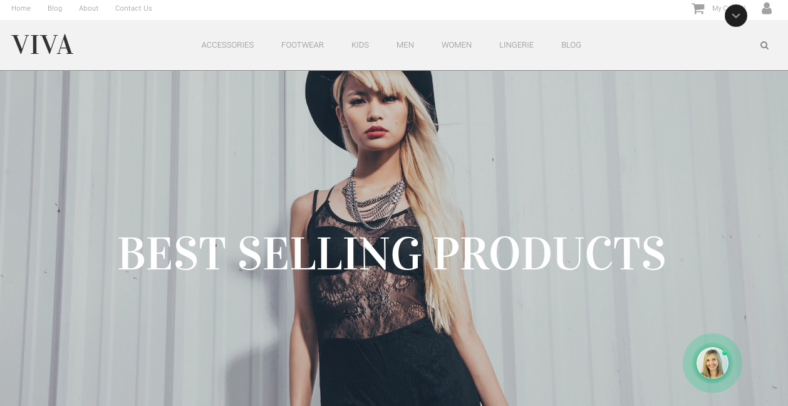 Viva was originally made with the idea of creating a lightweight yet fully functional fashion theme template that is capable of performing several functions without any demerits or deductions to the overall performance quality of the site. Viva allows for site users to create and display beautifully decorated display catalogs that will entice the site visitors to take a closer look on each of the product and or articles. As stated, this theme template is considered to be a fully functional store; meaning, it is capable of completing transactions with ease with the little alteration made to the actual cost for payment. It is also equipped with a statistics feature that will allow you to determine the habits of the people visiting your site from what they do on the site to what they purchase or get from the site. This theme template comes with its own built-in widgets that you can choose to use or not, widgets such as social media access and sharing functions, contact forms to allow viewers to contact you directly, media galleries that can display your images, videos and audio files for easy navigation. This theme template is also optimized in ways so as to allow for faster loading time as well as higher ratings on the Google search engine. Best is a WordPress theme that is dedicated to creating a fully responsive theme that will allow for the ease of access to the site from any platform or device so as to stretch the list of target audiences even further in the hopes of increasing network traffic into the website. 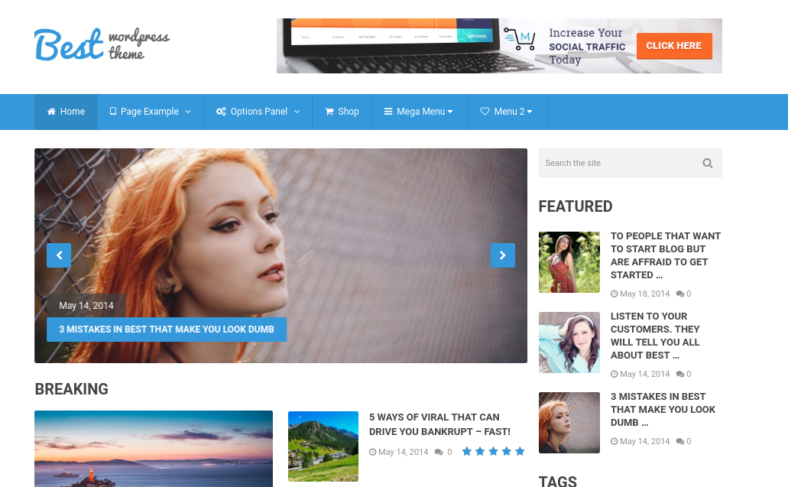 Best is lightweight and is considered to be one of the fastest WordPress theme templates, which makes it an ideal theme for those who want to create a website that is cost-effective for everyone visiting and using the site. This theme template is completely customizable in the sense that everything about the theme template can be altered. For example, you can easily change the layout of the page by selecting one of the many already-made layout theme or creating your very own custom-made layout theme. You are also given the privilege to use the customizable widget functions that are included in the feature of the theme template known as Best. This theme template has also been optimized in terms of search engine ranking and advertisements. SEO or search engine optimization can be done by improving the quality or ranking of the site, while advertisement optimization is basically selecting advertisements that are related to your topic so as to have meaningful advertisements in your site. It also has a feature called the MegaMenu plugin that helps you to create large drop-down menu icons that can make your site smaller but faster in accessing the different parts of the website. It also has a rating or review system that will help you determine the amount of traffic entering your site. 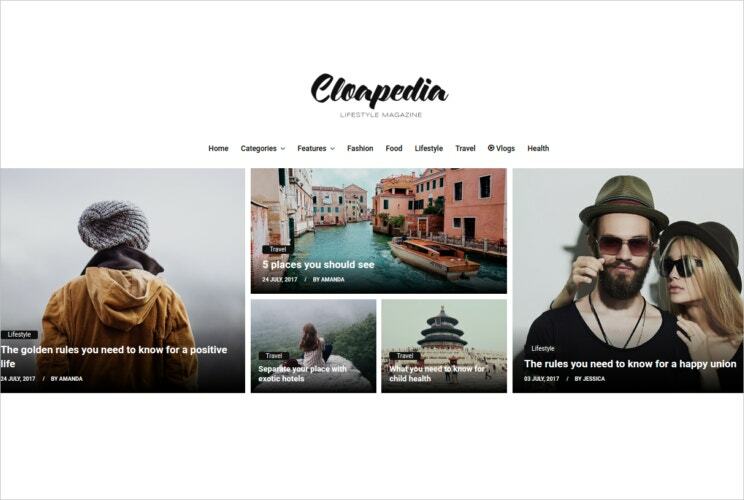 Cloapedia is a magazine blog website template that is considered to be professional in terms of looks and functions. This is mainly because of the amount of work that was put into the creation of this Cloapedia magazine blog website template, namely the amount of HTML5 and bootstrap framework coding and techniques, which is made into a simple and cleaner version by editing the codes in a specific order to create a simple yet elegant code that is fully functional and easily modifiable. 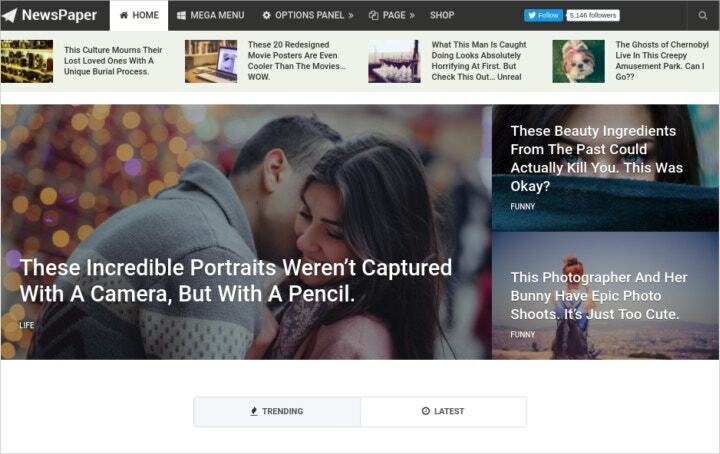 This template has been advised to be the perfect website template for certain topics for blogs such as lifestyle, personal, news, technology, food and recipes, fashion, gardening and nature blog, and much more. Cloapedia is not only limited to just the initial design being shown above but it actually consists of around forty-one different and uniquely designed HTML5 templates that are all fully functional. This theme is also considered to be social media friendly in the sense that it allows for easy sharing options to all popular social media sites such as Facebook, Twitter, Instagram, Tumblr, LinkedIn, YouTube, Pinterest, Google+, and any other social media sites, this can be done by creating and using specific widgets to fit the functions required to connect the site to social media sites. There is even a 24-7 customer support hotline that will assist or guide you through any technical issues you may have with creating the site. There is only one phrase that can sum up the design of this theme called BMX and that phrase would be amazing yet very simple. At first glance, you may assume that this website template was created through the usage of complex HTML5 and CSS3 coding. 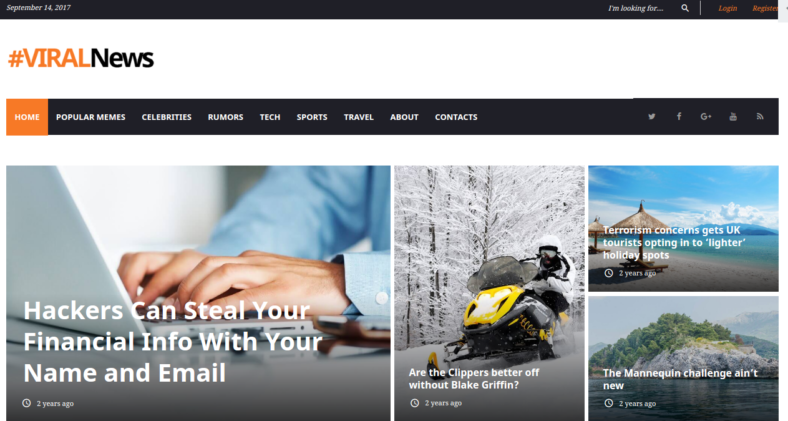 Although the idea that most website themes are made with complex HTML/CSS templates is true, but the fact of the matter is this magazine WP blog website theme template requires no coding skill whatsoever. This is mainly because of its content and layout feature that makes coding a thing of the past. 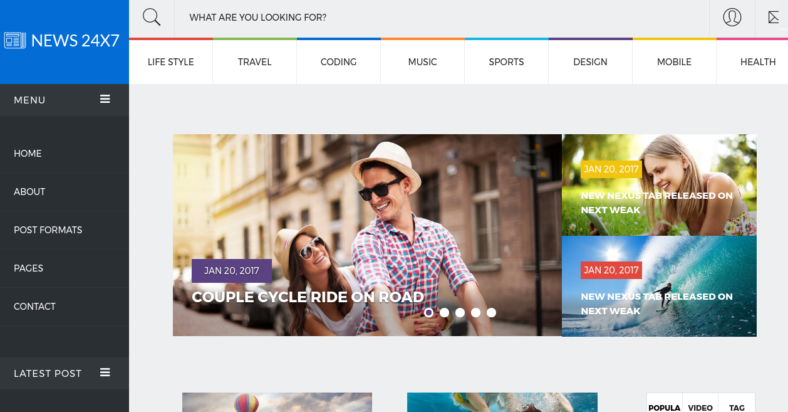 This theme also provides you with several sliders and gallery options that would allow you to even further customize and design your website all without the need of any coding. Sliders are essentially a feature on some sites that will allow you to have several headlines by either setting it on a timer to change to a different image or by allowing the user to click the button to proceed to the next image. This theme is completely responsive, meaning it can be accessed by different gadgets and platforms, but due to the increase in the number of people who have smartphones or tablets, this theme has a built-in feature that will allow users who are on their phone or tablet to experience seemingly flawless functions and features without sacrificing any of its quality. This theme is so well made that it is capable of being accessed in every type of Web browser available whether it be Google Chrome, Mozilla Firefox, Opera Mini or even Safari. This theme template can be run on all of these sites, which were all tested in advance by the developers of BMX, meaning there is no need to test the theme template out yourself, thus reducing your overall workload even more. 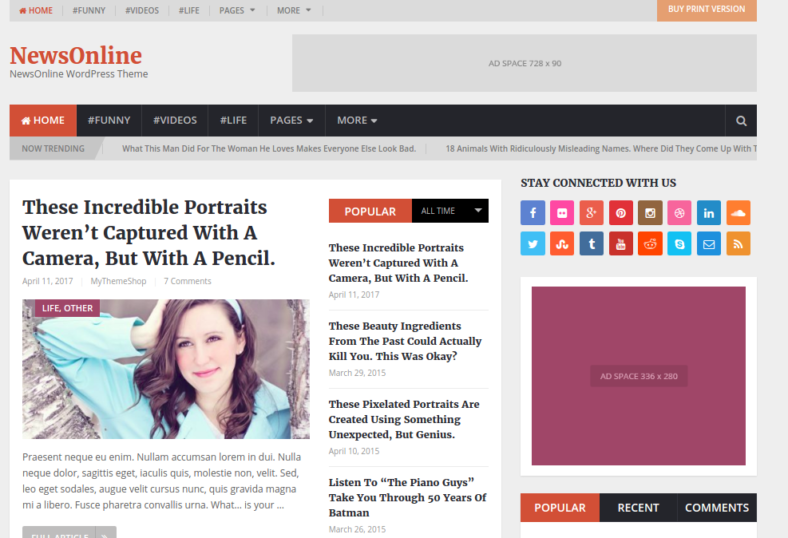 Anemone is a website theme template that is made with the ideals of creating a responsive yet clean and lightweight theme. This lightweight theme is perfect for supporting several contents on one page, such in the case when making a magazine site, a news blog, personal blog, or any other type of website that you want to design. This blog theme template also consists of several useful features that you could implement directly into your site so as to create a more attractive and fully functional site. One example of such a feature would be the layout themes that can be edited and positioned in whatever position and design you need it to be so as to put your own style into your site. Another rather useful feature would be the ability to create and edit sidebars to suit your need. With this theme you are actually capable of creating sidebars and to decide whether the sidebars will stick to the position it is in or follow the page scroll. This theme is capable of a feature called post formats and featured image wherein the function of this feature would be to allow you to easily create and add in any form of post you would want to make so as to further increase the appearance of your site. The featured image functions as a thumbnail to be used to identify the nature of each of your post. This will typically be placed near or next to the home page. Mr.Gizmo is a responsive WordPress theme that is made with Grid CSS technology. What is Grid CSS? Grid CSS is a new and innovative way of creating and designing the layout of your soon-to-be Web page. The difference with this feature compared to other theme templates would be that you are literally in charge as to how you can design and create the layout, no longer are you limited to the preset options for the design of your layout. As stated, Mr.Gizmo is a responsive WordPress theme template, meaning that this theme template is capable of being accessed from several cross-platform devices. This is done so with the intent of increasing the amount of traffic entering your site by increasing the number of target audiences who can access your site. In short, it removes most of the restrictions that mobile users have as compared to personal computer users. SevenMag was originally an idea for a Web page that would be ideal for the discussion of games, news, fashion, and reviews. To make this idea true, they designed SevenMag to be a flat yet modern take on a website. Although basic-looking, this elegant website is able to hold its own in terms of uploading several contents at a time and is capable of running some advance features and plugins as well. Sophia is a responsive magazine WordPress theme that achieves to create a bold and beautiful design by the means of implementing several pre-made layout styles and design as well as unlimited color scheming and textures that will basically leave you with nothing to do but add in the content for your website. ViralNews is a magazine WordPress theme that aims to create a means of informing majority of the public about current affairs and is often made for experienced magazine bloggers to be able to constantly update the information on the site thanks to the ease of access being provided by the WordPress live customizer feature being implemented by the website theme itself. This feature allows for the easy customization and updates of any and all parts of the website making it a must-have website theme template for more experienced bloggers. 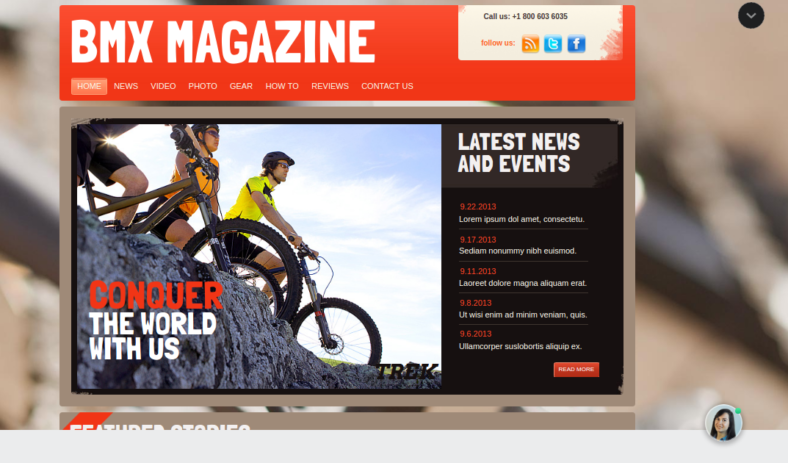 It is hard not to talk about games when creating a magazine website blog theme. This is because games allow for the discussion of an almost infinite amount of topics. Aside from that games are always being updated regularly as well as new games being made often. So the idea to design a website directly after a game is indeed a good idea. Romero is an effective WordPress theme for video gaming entertainment, because not only do they design the website well but because of the ease of changes and alterations that can be made to match the design of the site with upcoming games. News 24×7 is considered to be one of the most trendy news website theme template available, and this is mainly because of the flexibility this site offers to the person creating the site; flexibility that comes from being able to easily create the website according to how you want it to look and perform with little restrictions as to how you can make the website behave, from the contrast of the skin you are going to be using for the background all the way to the design and function of each link in your site. 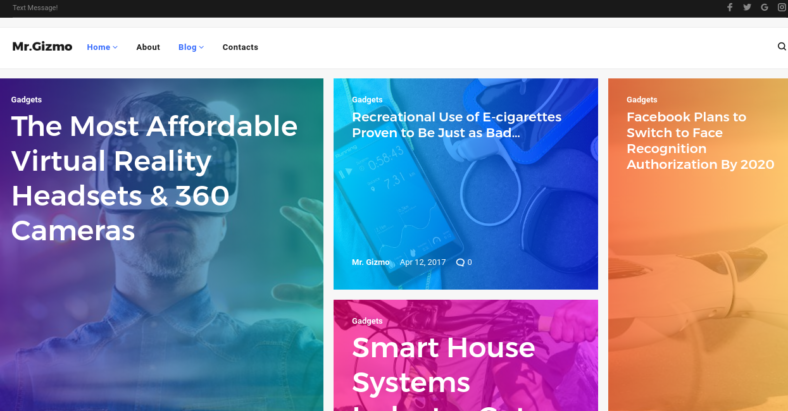 NewsOnline appears to be an attractive professional WordPress theme that appears to be beautifully made to match the topic it consists of. Although it is basic in design, its slim and lightweight features allow it to run several contents at the same time so as to increase its appearance rating, which is actually the main goal of this theme since it is discussing about news-related articles that may or may not be important. Swift is a responsive magazine WordPress theme that uses a dual column layout so as to make the site appear to have multiple topics, the main topics, and the related topics respectively. This website theme template is a well-made and fully optimized theme in terms of SEO and loading up the speed of the website making it an effective yet simple website theme. 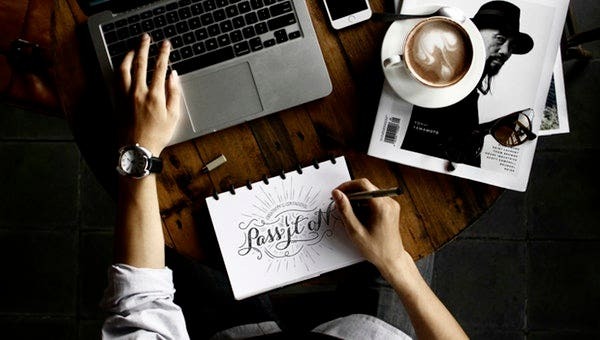 With the typography feature, you are capable of fully customizing the font style and font size of your texts adding more to the overall design of the Web page, and to pair up with the typography feature would be the multilingual feature where you can easily translate your text into any other language as needed. When we hear the word newspaper, odds are we are assuming that it is a piece of paper that consists a list of the available news information from yesterday, but in this case when we mean NewsPaper, we mean the name of the trendy website theme for news that will potentially put newspapers outdated and soon to be unneeded; because unlike the traditional hard copy of an actual newspaper, this version is actually capable of displaying more up-to-date information thanks to its breaking news feature. 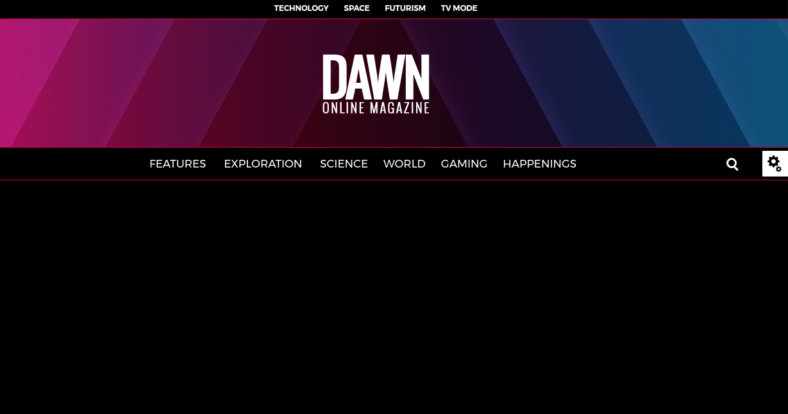 The Dawn magazine website theme is designed in a way that the color scheme matches the colors that a person will see when they are awake during dawn (also known as the very start of a new day). 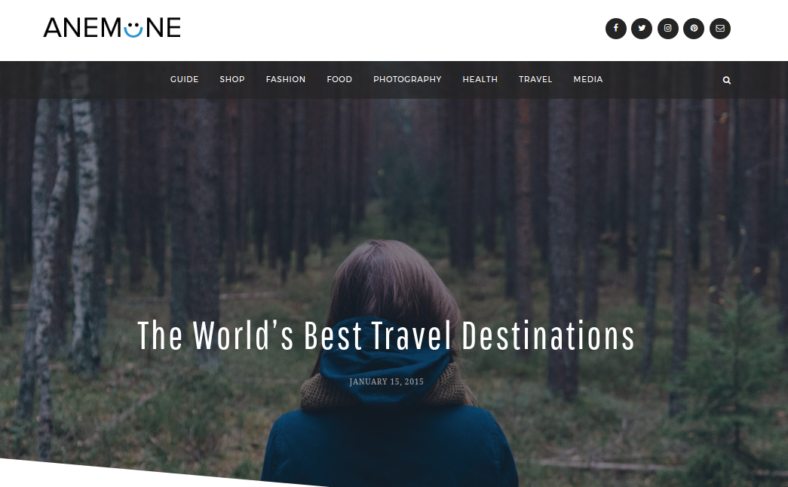 This magazine website theme is capable of functioning as a variety of website them but is mostly centered on the concept of creating a magazine-based theme mostly because of the flexibility and freedom to write whatever content on the site it would provide. The Daynight responsive news blog theme that cost only fifty-five dollars and is considered to be worth the price because not only are you being provided with quality designs and artworks to use for your background, but you are also being given tons of features that will make it extremely easy for you to create and maintain your very own website. Night shift mode, this feature allows for the adjusting of the brightness and contrast of the website so as to be able to reduce eye damage to the readers late at night.